← How Fast Those Queens Can Run! Someone recently asked me whether Betsy Bobbin and Trot were ever made princesses within the Oz series. L. Frank Baum never gives them this title, and neither does Ruth Plumly Thompson in her earlier books, but she does in later ones with no in-text explanation. As far as I can recall, the first mention of such is in The Wishing Horse of Oz: “No wonder Dorothy, Trot, and Bettsy [sic] Bobbin, the little mortals who lived in the great palace and were Princesses in their own right, were too busy to think of their titles or bother with their crowns.” In Handy Mandy, Dorothy, Betsy, and Trot are all wearing “golden circlets” while playing croquet. In Giant Horse, when King Cheeriobed makes Trot a Princess of the Munchkins, the Scarecrow says, “That makes Trot twice a princess,” but it’s not totally clear what he means. My interpretation is that he’s referring to how, in the previous paragraph, Cheeriobed and Prince Philador independently arrive at the idea of making Trot a princess. Earlier in the book, Trot explains to Benny how she became Queen of Sky Island, due to a technical interpretation of a law in the Pink Country and her subsequent conquest of the Blue Country. She has no claim on the Fog Bank that separates the two countries, however. Betsy does not have any prior royal titles, as she’s more of a passive character in her adventures, although Evered of Rash does offer to let her and Ozma take turns being Queen of Rash. It’s in the 1927 Ozmapolitan, used to advertise Gnome King, that we’re told “plans are underway for making Betsy and Trot Princesses of Oz, so that they will have equal rank with Dorothy and be able to wear crowns at all the Court parties.” Royals in the Oz series wear crowns pretty much constantly, sometimes at seemingly impossible angles, at least according to the illustrations. There might well be some kind of magic involved, although it apparently didn’t stop the crown of Oz from giving the Scarecrow a headache in Land. 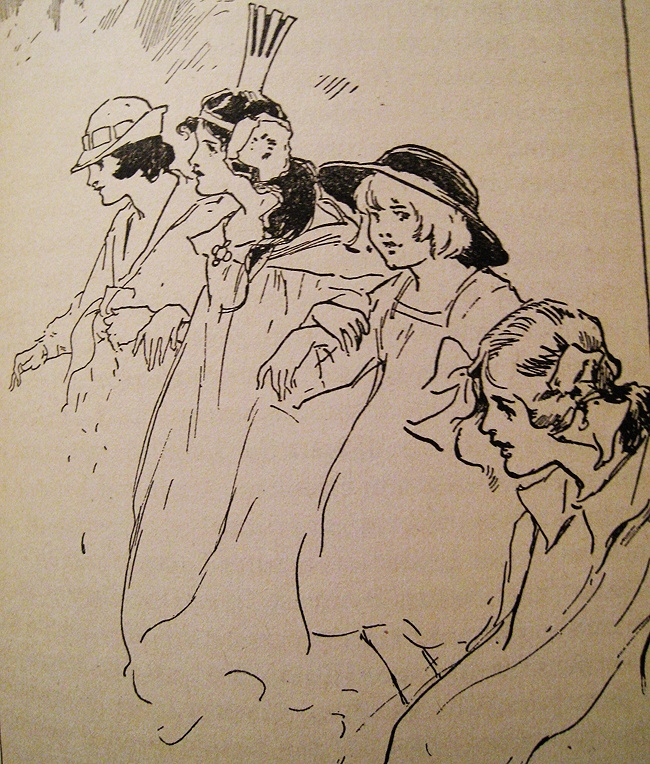 In David Hulan’s “A Princess of Oz,” Ozma says, “Trot, there are those who have called you a princess out of courtesy, because I made Dorothy a princess long ago when she and Billina rescued us from the Nome King the first time, and you and Dorothy are such good friends.” She then makes Trot an official Princess of Oz as a reward for saving the Emerald City from the Delves. I don’t know of any specific indication as to when this story takes place, although it presumably has to be after Handy Mandy due to a mention of Wutz being transformed. In my own “Betsy Bobbin in Yartralia,” I identified Betsy as an honorary princess. Ozma makes Dorothy a Princess of Oz after the events of Ozma of Oz, but she’s a national heroine, and Ozma takes a personal shine to her. Oddly, one of the chapters of Emerald City is called “How Dorothy Became a Princess” even though she’d already been one for several books. Since she moves to Oz for good, however, I suppose it becomes more of a functional position. In Gnome King, Peter Brown is made a Prince of Oz after he helps to save the kingdom from Ruggedo. Ozma also suggests that he could rule over one of the smaller kingdoms of Oz, but he declines the offer. 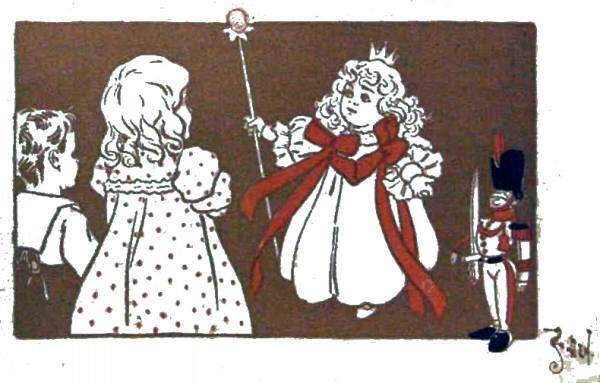 At the end of Melody Grandy’s Tippetarius, Ozma makes Tip of Lostland (with whom she’d switched forms due to Mombi’s magic) a Prince of Oz, “third only to Dorothy and myself,” as well as “Ambassador Extraordinaire to all parts of Oz and beyond.” And Jenny Jump is made a Duchess in Wonder City. Ozma is not the only one who grants royal titles to visitors from the Great Outside World. Queen Dolly makes Dot and Tot a Princess and Prince of Merryland. John Dough becomes King of Hiland and Loland by fulfilling a prophecy. Cap’n Bill’s brother Joe is elected king of Zog’s enchanted undersea castle after King Anko kills its old master. In Yellow Knight, the Kings of Corumbia and Corabia offer Speedy half of their kingdoms, and the end of Speedy suggests that he’ll eventually marry the Princess of Umbrella Island and become king of that place. Unless Umbrellian royalty is arranged differently from European, however, wouldn’t he actually be Prince Consort? He also spends a brief time as King of the Quix, although he leaves Quick City as speedily as he can. Robin Brown’s reign over Roundabout isn’t all that much longer. Bucky Jones claimed kingship over the Nomes after scaring Kaliko into hiding and taking his crown, but I doubt that was ever official. This entry was posted in Characters, Eloise Jarvis McGraw, John R. Neill, L. Frank Baum, Melody Grandy, Oz, Oz Authors, Ruth Plumly Thompson, Uncategorized and tagged a princess of oz, betsy bobbin, betsy bobbin in yartralia, bucky jones, cap'n joe weedles, david hulan, dorothy gale, dot and tot of merryland, evered of rash, handy mandy in oz, jenny jump, john dough, john dough and the cherub, kaliko, king cheeriobed, lucky bucky in oz, merry go round in oz, nomes, ozma, ozma of oz, ozmapolitan, peter brown, prince philador, princes, princesses, queen dolly of merryland, quick city, robin brown, roundabout, scarecrow, sky island, speedy, speedy in oz, the emerald city of oz, the giant horse of oz, the gnome king of oz, the hungry tiger of oz, the marvelous land of oz, the sea fairies, the seven blue mountains of oz, the wishing horse of oz, the wonder city of oz, the yellow knight of oz, tippetarius, tippetarius in oz, trot griffiths. Bookmark the permalink. My hat is off to you for trying to keep track of all of this…. Isn’t that part of the fun? Good essay! It helped me clarify a few things! You are incredibly well up on everything Oz. What would you recommend as the best guide or encyclopedia on the Land of Oz? I don’t really know of any general guide to the series. There’s Who’s Who in Oz, which lists most of the characters from the first thirty-nine books, but contains a lot of inaccuracies. There are some pretty good pages online.